I am nothing but a creator, a visionary, a critics, a planner and above all a Tech Geek. I love to read, write and explore new technologies. While multi cloud is a term that is being used extensively today, many people are not sure whether it is the same as a hybrid cloud. Although both these models of cloud hosting may be related closely, they are certainly not one and the same thing. What are a hybrid cloud and a multi cloud? 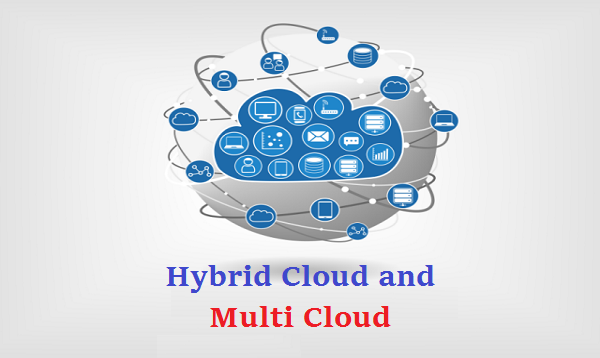 The hybrid cloud refers to a mix of private and public clouds; it basically connects a pubic cloud to an on-site infrastructure and they are designed to run together to complete a specific task. So, you optimize the workloads to ensure that it operates in the right environment, and for this, you may need more than a single cloud infrastructure. But a multi cloud is different where you will actually use multiple clouds from different providers for different types of tasks. This strategy is necessary because a certain department may need the cloud for document sharing while another department may require the cloud for Big Data analytics. Both departments have different requirements but both require cloud solutions. So, satisfying the needs of both these departments may require more than a single provider and this is why a multi cloud model becomes necessary. You will find that there are companies which turn towards a multi cloud to prevent vendor lock-ins. They are also keen to get new technologies from multiple vendors instead of just one. What is the key difference between a hybrid cloud and a multi cloud? The prime difference between these two models lies in their deployment strategies for performing one task. In a hybrid cloud, data can intermix between the on-site and public cloud, but it will stay with a single workload. However, in a multi cloud, many providers will be needed to perform multiple tasks, either within one department or multiple departments. So, the multi cloud strategy may even include a hybrid cloud, but the reverse is not always true. In a multi cloud, you will mix and match various cloud provider solutions obtained from various cloud service providers. These are meant to satisfy different workload needs. So, the multi cloud focuses more on implementing or managing clouds while the hybrid cloud model focuses on the underlying technology. According to Begeny who is channel manager at DSM Technology Consultants, the multi cloud is primarily a strategy and it involves multiple vendors. Begeny believes that the hybrid cloud is essentially the mixture of both on-site (private) clouds and public clouds which allow CIOs to shuttle workloads to the correct environments at the correct times, according to the specific business needs. Since the terms are quite confusing for the common man, Ed Featherson, the main architect of Cloud Technology Partners, feels that the hybrid cloud is basically anything inside a public cloud which continues to integrate or exchange data with systems which are not a part of this cloud. The multi cloud, according to him, is a type of hybrid cloud but it denotes operations in multiple public clouds, mainly for avoiding lock-ins to a single vendor. Most CIOs are actually trying to implement the multi cloud strategy in association with the hybrid cloud. They want to be able to use the maximum potential of clouds and they are keen to offer their staff maximum flexibility and control of their workloads. Why is a multi cloud strategy preferred? Using a multi cloud strategy, businesses can meet specific application requirements and take care of specific workloads. This is made possible because they can get different services from different vendors. This is necessary as all departments are not likely to have the same workload or application needs. The IT teams may also find this strategy useful because of its geographical benefits, for mainly addressing latency issues. Unlike the hybrid cloud, the multi cloud strategy can avoid vendor lock-ins so as to avoid any single point of failure. It is possible to minimize downtimes because businesses can employ this strategy to get unique services from different CSPs. The truth is, while the security issues concerning public clouds are slowly fading, concerns about the vendor lock-in are slowly increasing. The best way to mitigate vendor lock-in risks is to deploy the multi cloud strategy. Begeny therefore argues in favor of this strategy, however stating at the same time that the biggest benefit undoubtedly is the higher agility and flexibility which it offers to businesses. When the businesses need to undergo changes, the clouds can change along with them if there is a multi cloud strategy. Not only is this strategy for business enablement, it is also for taking IT forward. Technologies and clouds are changing dramatically; when you get locked down, you cannot grow seamlessly. But if this can be avoided, businesses can grow along with the new technologies. They will get far more options to grow further. This entry was posted in Cloud Hosting and tagged cloud hosting, Hybrid Cloud, Multi cloud, Multi Cloud server, multi cloud strategy on November 16, 2017 by Kumar. There can be no denial of the fact that an online business must be supported by high performance systems that are designed for top notch storage and speed. If you are contemplating to shift your online business to a VPS setup, then you need to understand myriad of benefits of choosing a fully managed SSD VPS hosting. In terms of efficiency, capacity and retrieval speed, Solid State Drives are generations ahead of traditional hard drive tools. No wonder, these are extensively being used by enterprises that are looking for ways to upgrade their storage resources. Solid State Drives can prove to be the most efficient storage tools due to their proven advantages that facilitate smooth business operations under demanding situations. Solid State Drives leverage flash memory which is in the form of electronic chips for storing the information instead of a hardware intensive drive that relies on mechanical operations. Flash memory is identical to the thumb drive but it is significantly superior in terms of speed and capacity of data storage. SSDs are provided with unmatched capabilities for reprogramming and one of the well-accepted forms of flash memory, NAND has electrical erasure that can be leveraged to reprogram the chip. Needless to mention, no source of power is necessary for storage of electronic information in an SSD setup. There are three most striking features of SSD drives that set them apart from conventional hard drives. Since the need for energy consumption is extremely less due to absence of mechanical movements, SSD drives are far more energy efficient. It is much more easy and convenient to handle SSD tools as compared with bulky hard drives on account of their compact construction. SSDs also offer greater durability and need no maintenance on account of lack of moving parts. Rapid access to data is also an important feature of flash drive based SSDs. There are several moving components of a hard drive storage device that differentiate it from a Solid State Drive. The data is stored on magnetically powered pallets that keep on rotating to allow a moving head to either read or write the required data. The entire process can not only delay the access to information but can also result in a crash of device since the moving parts are always susceptible to mechanical failure. Hard drives have evolved dramatically from the mammoth IBM hard drives in late sixties to the miniature hard drives that are used currently. On the other hand, SSDs are much younger siblings as these were developed at the beginning of this century. If at all an SSD fails to function, it is possible to retrieve the data by accessing NAND. However, the retrieval process can be extremely complex and costly in case of crashed Hard Disk Drives. Life of an SSD can be monitored by using specially designed tools. This feature is unfortunately not available for prediction of life of the HDD device. Usually, an HDD device crashes in an unexpected manner. In terms of their applications, SSD s as well as HDDs offer no differences since these are designed for system booting, application storage, and secure storage of mission critical files. Interestingly, you will be able to appreciate benefits of Solid State Drives as soon as these are adopted in your organization. Your organization’s IT systems will be able to boot faster for instant access to the data. SSD VPS hosting also minimizes application load times significantly to accelerate your work. Solid State Drives are reckoned for quicker data accessibility as users can swiftly access vital data files in contrast to an over-saturated hard drive that will struggle to open or save the documents. Protection of business critical data files is an important task of a storage device and Solid State Drives score over HDDs in this aspect. It is not only easy to predict the SSD’s life but also easy to retrieve data from a failed SSD device. In case of Hard Disk Drives, one can only wait for the drive to crash before beginning the complex and costly process of data retrieval. Having gained significant knowledge about the salient features of Solid State Drives and their advantages over HDDs, it should be easier to choose between the two most commonly sought after devices for storage. 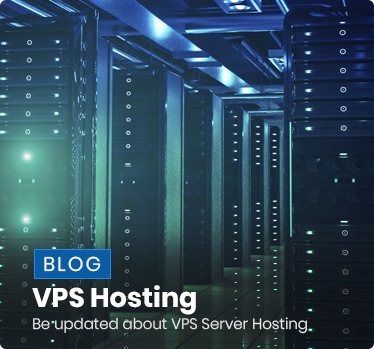 It is not surprising that many organizations are adopting SSD VPS hosting for speeding up their operations without fear of an unexpected data loss. However, one can also come across organizations that use combination of both SSDs as well as HDDs. You can also weigh cost and benefit ratios of using SSD technology while upgrading to fully managed VPS hosting to explore unmatched benefits of SSDs. This entry was posted in VPS Hosting on October 31, 2017 by Kumar. WordPress comes to your mind first when you think of launching a website or blog. This is because this content management system is extremely easy to use and you can even get it from web hosting providers through a one-click installation. 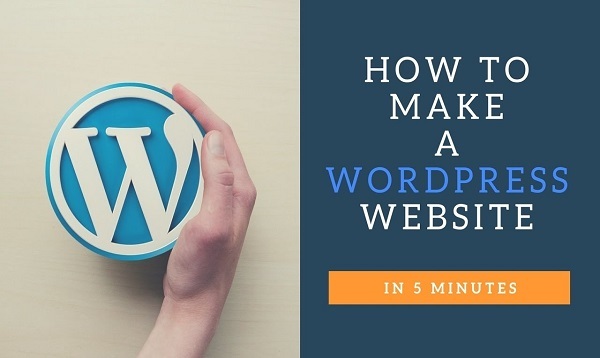 So, it is indeed possible to get started with a WordPress site in as less as 5 minutes. WordPress is an open-source CMS which makes it easy for anyone to download it from anywhere to get started. Users can easily edit and enhance its functionalities and capabilities because of its customizability. So, when you start, you may choose a basic theme. You can then customize it to your liking using the multiple plugins and themes at your disposal. Besides the fact that it is highly user-friendly and customizable, this software is also free of cost. There are no licensing fees but you will need to pay for hosting solutions and for premium themes or plugins. Finally, installing WordPress is simple but for people who are keen to customize it, you will need to have some expertise. To start wit, you are going to need domain names for your websites. When you do not have a domain name, you can register for an URL. You may sign up with web hosting providers that offer domain registration services. Most users will browse through their web host’s page to know about the various hosting plans on offer. Shared hosting is a popular choice because of its affordability. You need to click on the “Sign up for Shared Hosting” option to create your own account. You will need to provide an email address and a password for using the website. 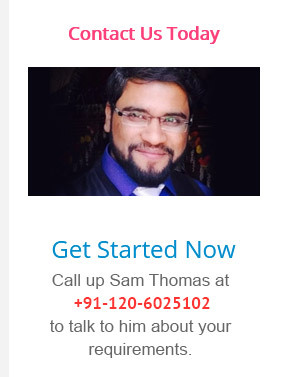 You should ideally enter a domain name which you may already have or you can register for a free one. You will then need to select a billing plan, whether by month, by year or a few years. When the hosting plan has been selected, you must check a box which says “Install WordPress. This will help you set up WordPress in record time. You must then provide your personal details and preferred mode of payments. After this, you need to choose the option “Place Order Now”. This finishes the process for domain registration and indicates that you have successfully signed up for hosting. The installation takes a couple of minutes and you are provided with an email including some extra instructions to configure this new software. It will also have a link which contains your new password. In case you face any trouble during this stage, you can always get help from your web host. When you have been able to set up a WordPress blog or site successfully, you will realize that it appears quite empty. So, your next job is to choose an appropriate theme and then fill the pages with content. You can log into the back-end by using your login details. This will give you access to the dashboard where you can create the blog title and choose a theme. Selecting the right theme is important because this will decide the feel of the website for the end-users. You may click on the option “Appearance” to find a good theme for the site; you can then clock on “Add New” option under the “Themes” menu to view different layouts, fonts and colors. When you have found an appropriate theme, you can click on “Install.” When you have chosen a theme to make your blog look attractive, you can start to create its content. This entry was posted in WordPress Hosting and tagged Wordpress Hosting, Wordpress. Wordpress Website on August 30, 2017 by Kumar. How are Different Verticals affected by the GST? Central government has rolled out Goods and Services Tax (GST) with lots of expectations, on one hand, and resistances, on the other. No matter which vertical a business belongs to, it is definitely going to be affected. GST is considered to be the most radical tax reforms in India. Reports say that this radical tax reform has the potential of ramping up the GDP of Indian economy by 2 percentage points. Some of the main business areas are expected to be affected by the introduction of GST. Some of those areas that are going to be impacted include pricing of products/services, tax compliance framework, and employee skill set. GST rate for pharmaceutical products has been pegged at 12 per cent. However, for the specified life saving drugs, the rate is pegged at 5 per cent. Hence, the effect of Goods and Services tax on pharma industry is more or less neutral. However, it is being said by a section of the industry that that from now on the retail medicine shops will not be able to pass on the discounts they used to give to hold on to the existing customers or in many cases to lure customers. Retail medicine shop owners point out that earlier they used to give VAT of just 5.5 per cent. However, from now on the GST will be of 12 per cent, which means an increase in tax rate by 6.5 per cent. So, the customers who use to buy significantly high amount of medicines every month may see their medicine bill to soar by a certain percentage because they will not get the 10 to 12 per cent discount they used to get from the retail medicine shops. 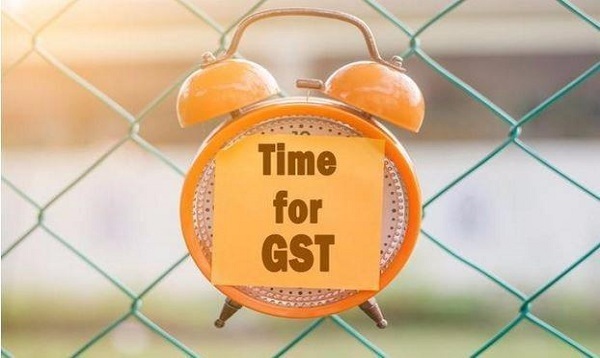 However, shop owners also say that the issue will be resolved once the pricing of medicine becomes clear, the existing stock (bought by them before the introduction of GST) clears out (in which they have to bear a loss of around 6.5 per cent), and they start buying the medicines as per the existing GST rate. In the pharmaceutical manufacturing front, the companies have a huge opportunity of modifying as well as modernising the existing supply chains. They need to cut their logistic costs and at the same time increase efficiency of their operational unit. This will ultimately help them in their profitability. Moreover, the decision makers (say, the Chief Information Officers) of pharmaceutical companies must alter their IT systems so that it helps them in complying with the tax requirements. It is being discussed in the industry chambers (especially FICCI) whether it is possible to restrict the tax rate to 5.5 per cent, as before. This is because of the fact that the 12 per cent rate is said to be against India’s drug policy and the current rate will lead to inflationary trends, as the effective tax rate is slated to increase by 2.3 per cent in the GST regime. No matter which challenge you consider, deployment of technology in a seamless manner will be a challenge. Therefore, the Chief Information Officers of financial services will need to invest in solutions that are capable of analysing information in varied post-GST conditions in real time and at the same time come up with output which matches templates of GSTN. It is absolutely true that capex on these solutions will be different from one organisation to another. So, the CIOs will be needed to consult the heads of Strategic Business Units (SBUs) closely, thereby ensuring easy allocation of budget and at the same time proper alignment with business technology. Before the introduction of GST, the tax rate on telecom was 15 per cent. However, it now stands at 18 per cent after GST. However, the GST-regime comes with benefit of input tax credit, which will bring down overall effective rates for consumers. 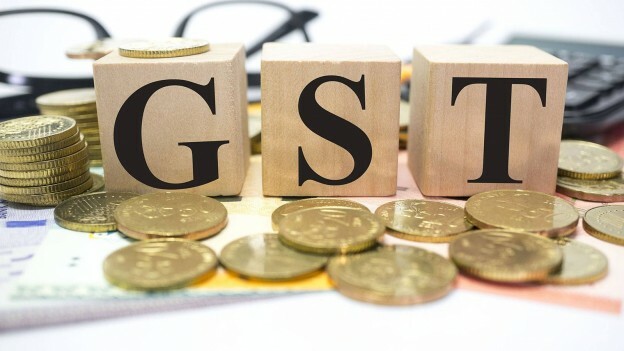 Telecom Minister Manoj Sinha has said that after factoring in the input tax credit, the effective GST rate will come down to 16 per cent, which is just 1 per cent above the previous rate. However, the minister has said that they are keeping the effects under watch currently. So, CIOs have to bring in solutions that take care of all these factors along with anomalies that are expected to crop up due to the state-wise revenues. This is how the major sectors of the Indian economy going to be affected by Goods and Services Tax (GST). This entry was posted in GST and tagged GST, GST Rate on July 31, 2017 by Kumar. While the GST or Goods and Services Tax have been designed to unify the tax regime, consolidating many taxes into a single tax, there are bound to be new challenges. A single tax is meant to lower costs for businesses since it will lessen overall tax burdens. But IT teams have to now get down to making changes in their Enterprise Resource Planning or ERP systems to make it GST ready. The changes which the IT professionals may have to introduce for revamping the ERP could be very simple like simply updating the ERP software version. But, in some cases, the task is likely to be complicated. To bring about any changes in ERP, the cooperation among different department, IT and tax departments is required. In case of the GST however, the requirements are found to be constantly shifting. In the recent past, many businesses have begun to redesign and upgrade their ERPs in preparation for this landmark change. But the entire process takes a lot of time and is highly expensive. Systems are far from being ready for the GST because it not very clear as to what the GST requirements are. Understanding taxes and their effect on businesses is something that everyone knows. But implementation dates have been pushed back and every time it is missed, there is some new change to the law. On the whole GST is expected to trigger businesses into rethinking and redesigning their sales modules, procurement modules, and financial management modules. Perhaps the most important challenge which ERP is going to face with the GST is widening the tax base since now almost every good is becoming taxable. When the VAT had been earlier introduced, there were three main rates namely, 12%, 1% and 4%. However, there rates are not the same across states today. Every time there is a change in the rate, it becomes a major ERP event. The IT staff has to get down to building new codes for the taxes and also update data about products. So, businesses that were hitherto involved only in provision of some specific supplies will ensure that all of their ERP processes are taking into account the taxes. You need to review the current process and how the business operates to be able to understand how this tax could change these. When there is a question of goods supply between two units belonging to the same business, this change may be from 2% CST to 18% GST. A change like this will automatically affect the way in which orders are taken or goods are received. To comply with taxes, the ERP must generate data for use in creating correct entries in the GSTN for both internal and external transactions. It has to ensure that valid tax invoices are produced. Since data must be uploaded to the GSTN, the IT needs to have access to accurate tax data to include in the ERP instead of waiting to fill this information later on. The ERP must have this relevant data and it can fill in the missing information while the process is going on prior to compliance. When businesses try to produce this data at the time when compliance is scheduled, it may lead to a lot of discrepancies and mismatch in data. So, the tax teams are expected to do this on their own or get advisors if the nature and complexity of business so demands. They need to determine which processes will remain unchanged, which may be optimized under this new tax regime and which can be done away with as they are irrelevant. The results will then be made available to the organization which will then decide how the IT department and tax department will collaborate in implementing and testing the plan. Every aspect of the ERP software needs to be properly maintained. This means that when the GST slowly stabilizes, the IT and tax departments will feel more pressure to keep updating and testing the processes. So, any strategy for ERP migration will have to take into account greater time to assess the processes for a minimum of 18 months post-GST. Alternately, instead of designing and testing the ERP solutions, the tax data can be centralized and stored in a central location. This way the tax system can easily offer tax data to the ERP. The maintenance team will focus on the aspects at which ERP excels, like processing management and workflows whereas the tax system will look after computing and compliance. This will ensure that the sensitive ERP tasks are never disrupted because of government changes and compliance changes. Although businesses may have to initially spend more to become compliant, in the long run it is cheaper than being non-compliant. The time has come for business owners to realize the value of this tax reform they must equip their businesses properly to be able to deal with tax compliances. When you can automate for GST reforms, you are likely to enjoy long-term benefits; the ERP system will offer businesses a helping hand to address GST-compliance challenges. This entry was posted in GST and tagged ERP Hosting, ERP software, ERP solutions, GST, GST India on July 7, 2017 by Kumar. It is ridiculous to claim that email is on the verge of dying. In fact, it is one of the oldest and the most consistently evolving mediums of electronic communications. It is also regarded as the topmost direct channel of communication based on its daily use. No wonder, email is not only preferred for personal but also for business related communications. The major attributes of email’s growing popularity are its flexibility and universal acceptance. It is also backed by the modern internet users who using their smart phones and tablets to communicate by using email as the medium of communications. Large chunk of marketers have agreed that purpose of their email marketing campaigns is to deliver the right kind of content. The ideal email marketing strategy must begin with building the right list and should involve data management and many more important parameters for assured revenue generation. These parameters are individually explained in this article. It should not be difficult for you to analyze the places that are being used by your customers for connecting with your brand. This can be followed by understanding ways to improve their experiences and use of advanced techniques and tools to boost interactive engagement. If you are employing acquisition forms, then make sure that these are optimized for mobiles so that you do not stand to lose out on your opt-ins. Lack of mobile optimization can be highly detrimental for your email marketing strategy. One of the surveys has pointed out that more than sixty percent US based consumers instantly delete email messages that are not optimized for mobiles. If you are able to present a nicely optimized welcome email fir their trendy mobile screens, then you have won half the battle. It will improve your subscriber’s confidence about an enhanced experience with your brand marketing strategy. It is important to analyze the contents of your communications in terms of their relevance according to variety of parameters related to the target audience including locations, genders and so forth. This will help enhancement of subscriber experience. You also need to prevent pouring of the same promotional information on email as well as on social media. It must be noted that your audience is always looking for variety of information on different channels. Personalized messages are always appreciated by those readers who are already connected with you on social media channels. It is easy to obtain information on browsing history of audience on your website and the same can be used to design personalized messages that are injected with pointed recommendations. It is found that individualized messages improve click through rates by up to 35 per cent and sales conversion rates by as high as 25 percent. You can improve consumer channel preferences by the ability of email archiving and accessing messages at some other time. Thanks to the advanced technology, almost all features of desktop messaging are available on tablets and smartphones. This facilitates parking of messages by consumers for later day reading to access some of the enhanced features of desktops such as larger screens, full function keyboards, and much better internet accessibility. 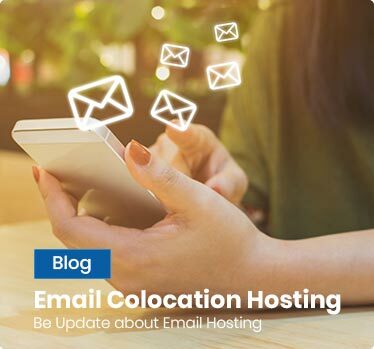 Email has an amazing versatility of connecting with a plethora of internet accessing devices including desktops, smartphones and tabs. As per Seth Godin who happens to be the most celebrated online marketers, one must seek permission of readers before mailing them information that is actually being sought after by them. It might sound queer, but that is how it is. You may be tempted to think about the permission as part of some kind of internet etiquettes. In fact, it is the most subtle recognition of the fact that consumers have the right to refuse marketing campaigns being directed at them. This underlines the reason why brands need to gain permission of sending emails by customers. If you have succeeded in obtaining the permission, then the subsequent stages personalization and building the data in association with the consumer are easy. Email communication is considered as the most effective medium for pushing across deals to consumers. People seldom miss deals that are delivered in their inboxes than the ones that are offered via Facebook. Ideally, you should leverage social networks to spread the awareness about deals and use email communications to actually break the ice. In the vast ocean of market, the population of consumers who are active on social channels can be considered only as tips of icebergs. The majority of consumers remain silent and difficult to access via routine communication channels. These are the private and introvert consumers who can wield greater influence on other consumers than the users of Tweeter, Facebook, and most of the popular social channels. They can be reached via email communications. Abandoned carts must be analyzed in terms of frequency and the typical purchase window of the items. Emails related to abandoned carts need to be sent immediately to follow up on the customers. Interactive marketing is all about customer experience, a vibrant website, and robust email communications. Ensure that follow up mails are programmed to be sent with right frequency to customers who have obliged you by making purchases. This entry was posted in Email Hosting and tagged Data Management, email marketing on January 4, 2017 by Kumar. Wikipedia Says, "Cloud computing is a phrase used to describe a variety of computing concepts that involve a large number of computers connected through a real-time communication network such as the Internet." Webopedia Says, "Cloud computing is a type of computing that relies on sharing computing resources rather than having local servers or personal devices to handle applications." About.Com Says, "Cloud Computing is a somewhat nebulous term to describe users 'renting' or borrowing online software instead of actually purchasing and installing it on their own computers." However, in simple words Cloud Computing is a practice of using a network of remote servers hosted on the Internet to store, manage, and process data, rather than a local server or a personal computer. It can also be called Grid Computing. It has become our next step towards evolution of IT based products and services. Now, there are many misconceptions about Cloud Computing. In 2012, a survey conducted by Citrix ends up on a surprising node. A majority of adults in STATES have no idea about what cloud computing is? 51% of participants believed that it is about weather and storm, 54 % said that they never experienced it but 95% participants were actually found using it. Some of the most common forms of cloud computing used in our daily routine are email programs like Gmail or Yahoo, Online Banking, eCommerce Portal, Digital Libraries etc.. In past few years, cloud remains a trending term on the web and the trend graph is still moving towards sky. Trend is not the only rising factor about the cloud, the level of investment has also increased in cloud which ensures that it cannot disappear overnight. According to McKinsey consulting firm, "Economic weightage of cloud technology would be around $1.7 trillion to $6.2 trillion by the year 2025". 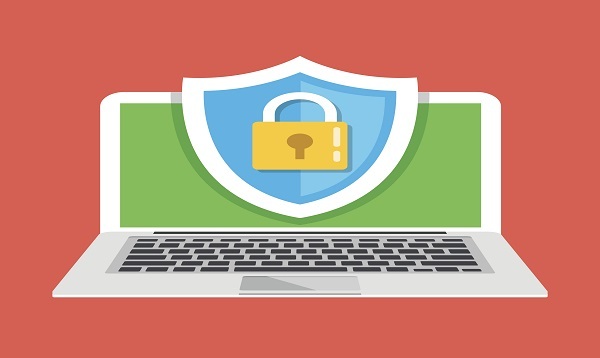 As far as security is concerned, cloud platform is a very alluring target because of the mass records or data that they hold. But as per the statistical data, cloud companies invest too much money on security in comparison to other businesses. Homeland security, department of defence, CIA and vast majority of Fortune 500 companies are somehow relying on cloud computing. We have several examples of outages observed in past but stats presents us a completely different picture. As per the survey conducted by Microsoft and other big cloud providers in different parts of world confirmed that the businesses moved to cloud are experiencing more uptime and service availability than others. In traditional IT environment when we experience server failure, it usually consumes 3 to 5 days to obtain a new server, set it up, install OS & patches, reload database and restore historic data. It heavily impacts business model due to various important application which were being executed on that server. In case of Cloud, if any hardware failure is imminent, it automatically migrates your server to another machine to prevent data loss and down time. So, after having a look at the above mentioned misconceptions about cloud computing, it can aptly be said that “Cloud computing is definitely the call of the day”! This entry was posted in Cloud Technology on January 30, 2014 by Kumar.